xref: GO_REF:0000003 "Gene Ontology annotation based on Enzyme Commission mapping." 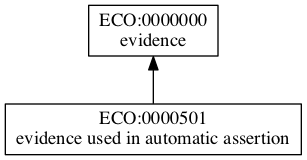 xref: GO_REF:0000004 "Gene Ontology annotation based on Swiss-Prot keyword mapping." xref: GO_REF:0000023 "Gene Ontology annotation based on Swiss-Prot Subcellular Location vocabulary mapping." This page was last edited on 29 October 2016, at 02:00.